Today we are just posting a short reminder that Forgotten Hope 2.48 has gone live. To download, all you will need to do is start the game through the launcher as usual, and it will handle the rest. If you have tried to play FH2 over the last two days, you might have noticed a delay when starting the game. It turns out that our modified BF2 executable still tried to reach one of the Gamespy servers, which have now shut down completely. Just start the FH2 Launcher after this date to update or install Forgotten Hope 2.48. Server administrators can find the 2.48 Server files here. Our winner for this week's screenshot competition is SzalonyGolibroda. You can view the winning submission here. We are now accepting entries for the week of July 28th. The winner will be announced in the final part. If you think you have the best FH2 screenshot, post them here. 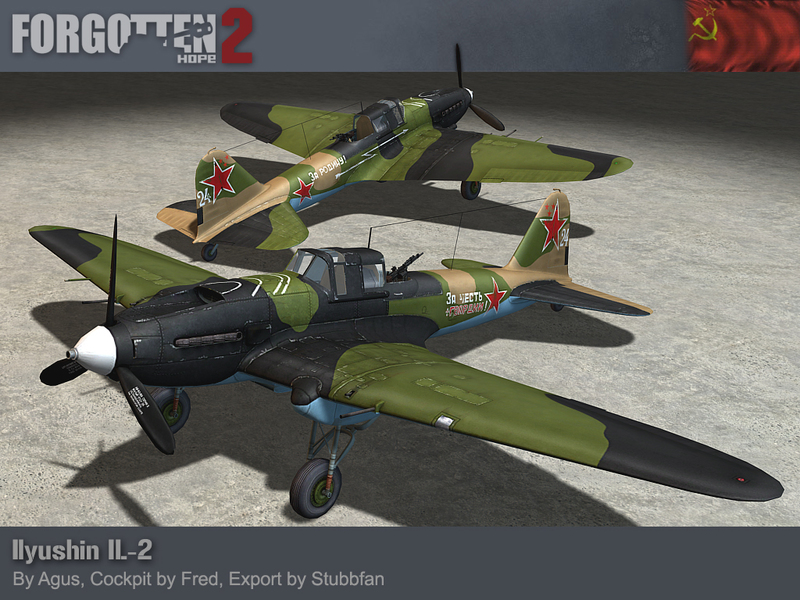 Today we have yet another render of a Soviet aircraft. 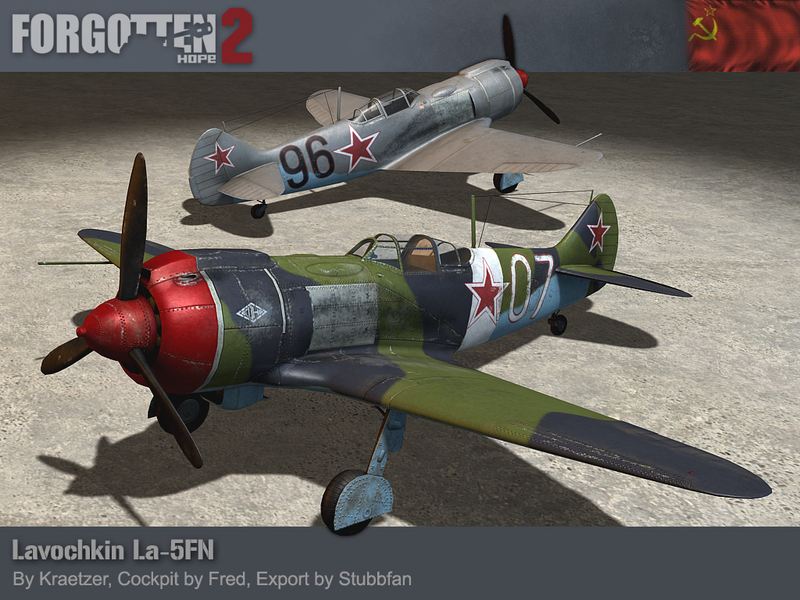 This time, we will be showing you the Lavochkin La-5FN fighter. The Lavochkin-Gorbunov-Gudkov LaGG-1 was a 1938 design for a lightweight fighter built from laminated wood. The design was promising, and Soviet aircraft losses in the Winter War led to it being placed into production. 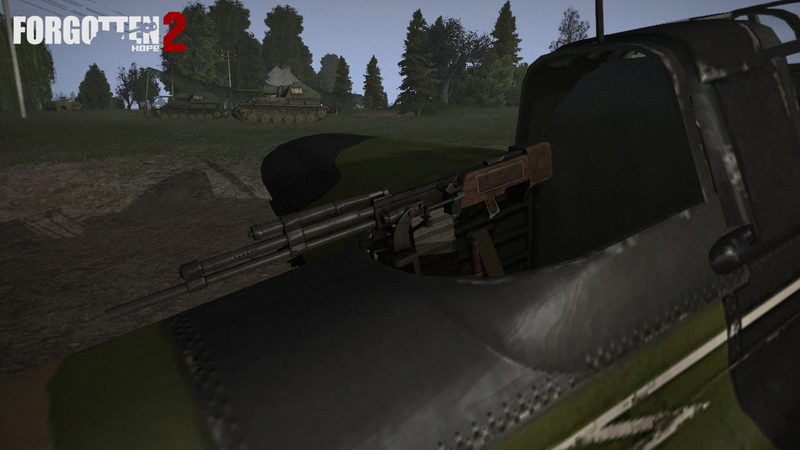 In the field, it was found to be underpowered, and improvements led to the LaGG-3. While this was a better aircraft, it still had many problems and was not liked. Eventually, factories were switched to production of the rival Yak-1 and Yak-7. The La-5 began life as an unofficial experiment to mount the powerful radial ASh-82 engine onto the LaGG-3, using the nose section on the Su-2. The prototype flew in March 1942, and was found superior to the Yak-7. Stalin ordered the La-5 into production in July. 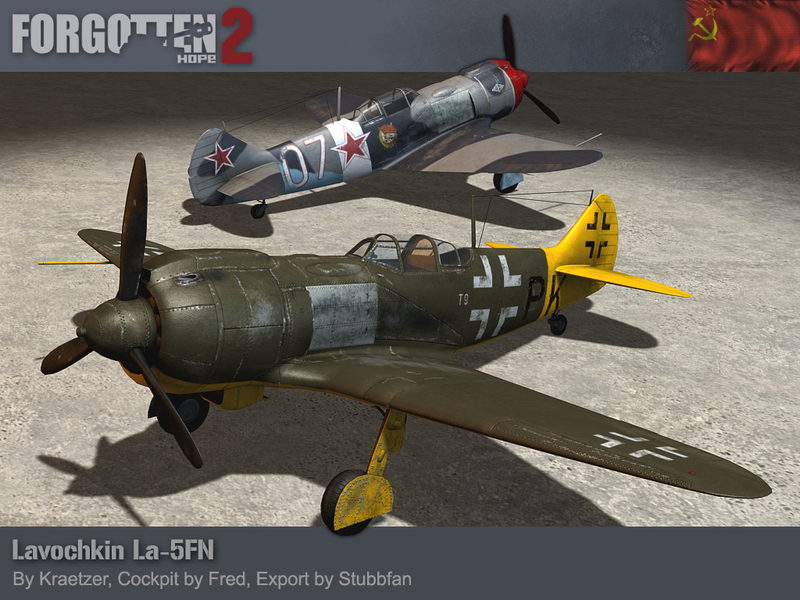 The La-5FN was a further refinement of the design, and while it suffered at high altitudes, in the more common low altitude combat on the Eastern Front, it proved a worthy match to the Luftwaffe's fighters. 9,920 La-5 of all types were produced, and ours was made by Kraetzer, with a cockpit by Fred. Our winners for this week's screenshot competition is Laboraffe. You can view the winning submission here. We are now accepting entries for the week of July 21st. If you think you have the best FH2 screenshot, post them here. The Nations Cup is even bigger, better and more intense than ever! 2nd phase - 25, 26, 27 of July. This year the Nations Cup is even bigger, stronger and better. With Forgotten Hope 2 players of all nationalities playing together in teamwork based squads in a 2/3 weekends tournament style competition. We can ensure you will see a lot of action. This event will be the first of many that will happend in the future to celebrate the 10th anniversary of Forgotten Honor. Pressing the button below will link you to the platform being used for the Nations Cup 2014 at www.forgottenhonor.com. If you are not registered yet, you will be asked to register on the website first before you go further. As soon you are registered you will see a list of several tournaments that Forgotten Honor is hosting. Search for the Nations Cup 2014 tournament and hit 'Start Registration'. There you choose your National Team. After you are done you will see the Nations Cup 2014 forums and your Nations thread. 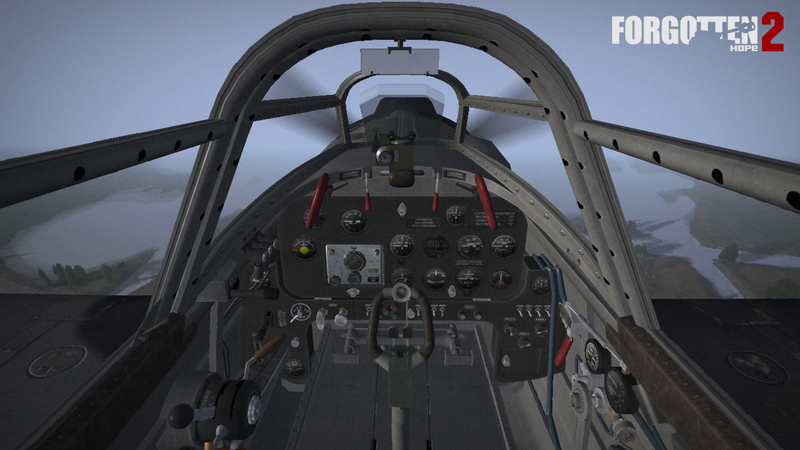 Today we have a render and screenshots of perhaps the most famous Soviet aircraft of the war: the Ilyushin Il-2. The most produced military aircraft of all time, the Il-2 started life in 1938 with the design of the TsKB-55 by the team of Sergey Ilyushin. This two seat aircraft incorporated an armoured shell that protected the engine, fuel tank, radiators and crew. To save weight, the armour was a part of the load bearing stucture of the aircraft, but even with this it was overweight. Redesigned as a single seater, and powered with a newer Mikulin AM-38 engine optimised for low altitudes, the Il-2 was accepted into service in March 1941. The rear gunner returned as an answer to heavy losses to fighters, first as a field improvisation and then in a 1943 redesign. While the rear gun proved effective, the casualty rate for gunners was high, since they were outside the protection of the armour plates. The extra weight also reduced the handling of the aircraft. In the role of ground attack, the Il-2 was an intimidating prospect. While it suffered from poor bombing accuracy and low bomb load, its armour made it a difficult target to bring down. The accuracy was somewhat improved with PTAB shaped charge bomblets, of which the Il-2 could carry up to 192. These could penetrate the top armour of any tank on the battlefield, and were dropped in the millions. 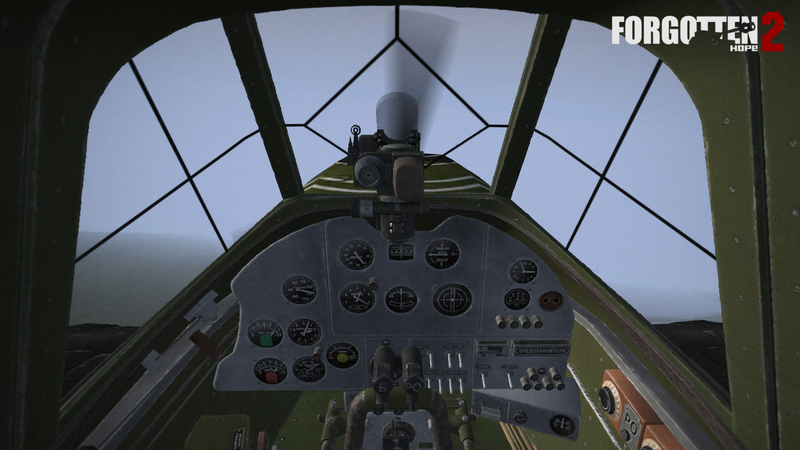 36,183 Il-2 were produced during the war, and ours was made by Agus, with a cockpit by Fred and Berezin UBT by Agus. We are now accepting entries for the week of July 7th. If you think you have the best FH2 screenshot, post them here.